64 pages plus covers, text, colour photographs, black and white archive photographs; colour profiles. When this title was unveiled in early November there were many who thought – wrongly- that it would be a tie in with the latest Wingnuts Duellist release. In the event Wingnuts announced a Halberstadt CL.II/ RE8 duellist combo. 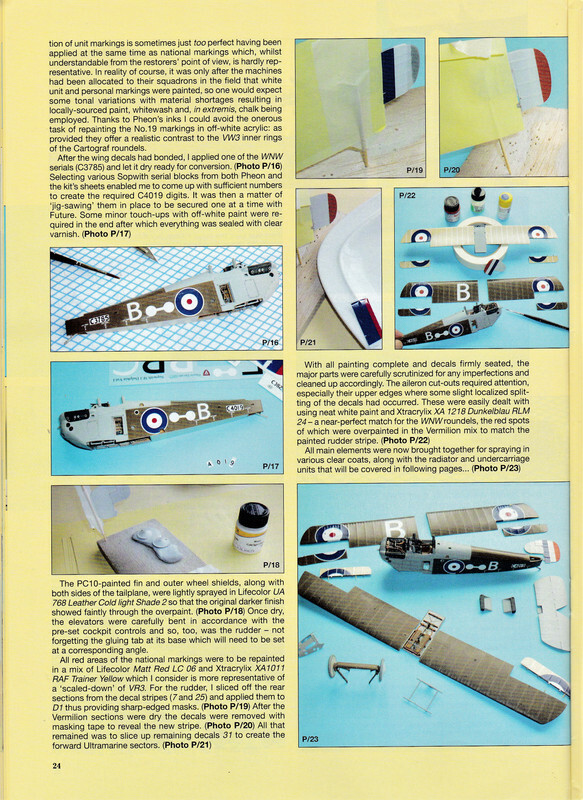 So this seventh in the ongoing Albatros Productions’ series of building Wingnut kits can be examined as a standalone title and as such, it’s an invaluable reference aid to anyone planning to build a Dolphin or the now OOP Pfalz D.IIIa. 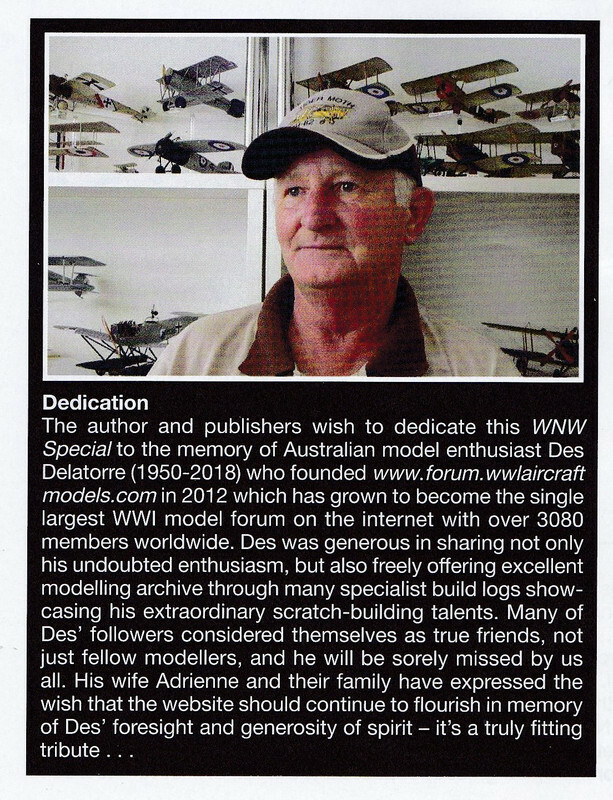 It has added importance because this publication is especially dedicated to our late Forum founder Des Delatorre. 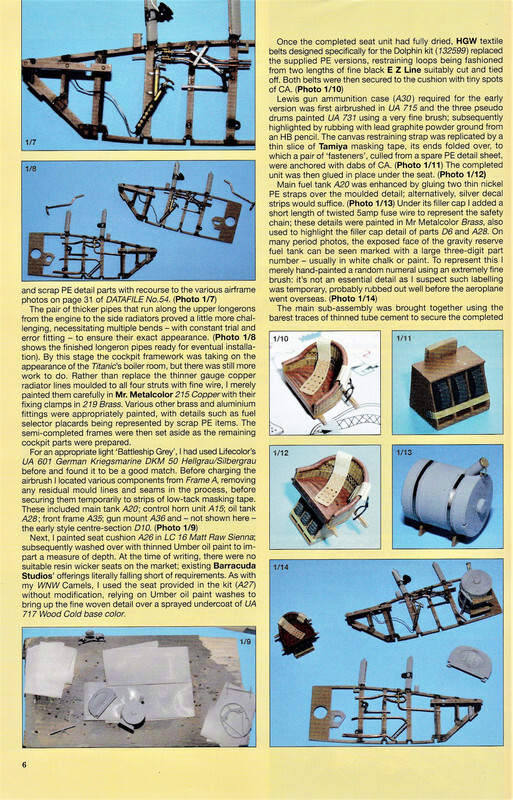 Ray Rimell’s Windsock stable is, to me, the default setting for quality assessments of all Wingnut kits. Ray Rimell is one of the most respected and most experienced WW1 modellers in the world and his ongoing quest to provide high quality reference publications on WW1 aircraft is one of the things that makes this hobby so enjoyable and satisfying. Ray’s latest publication has an excellent variety of build and detail articles- copiously illustrated with many colour photos, plus a nice blend of contemporary reference photos, delicious close-up images and all of it augmented with a multi-page assortment of Ronny Bar profiles. Special mention should be made of the cover- a blend of Ray’s models in flight on a digital composite background by Jerry Boucher. This dramatically introduces the publication. 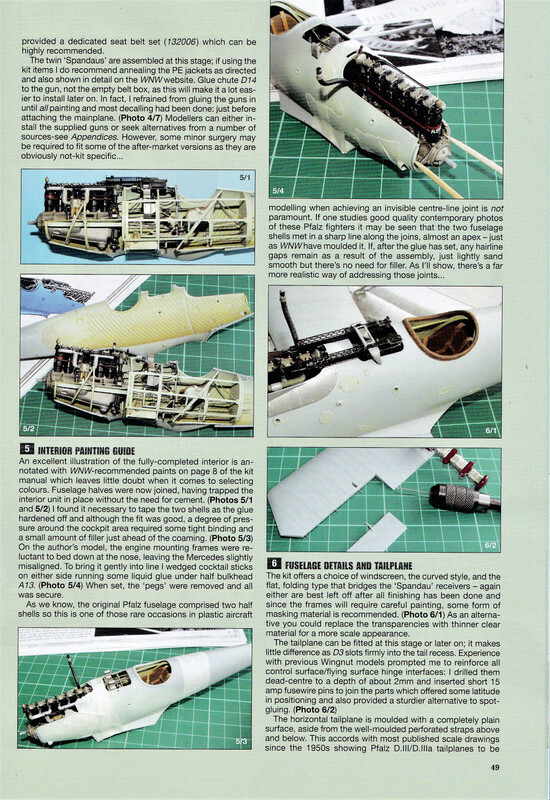 There’s much to be found on the 64 pages within – a very detailed and beautifully illustrated step by step build log of the Dolphin & Pfalz with abundant colour photos augmented by painting and finishing techniques. 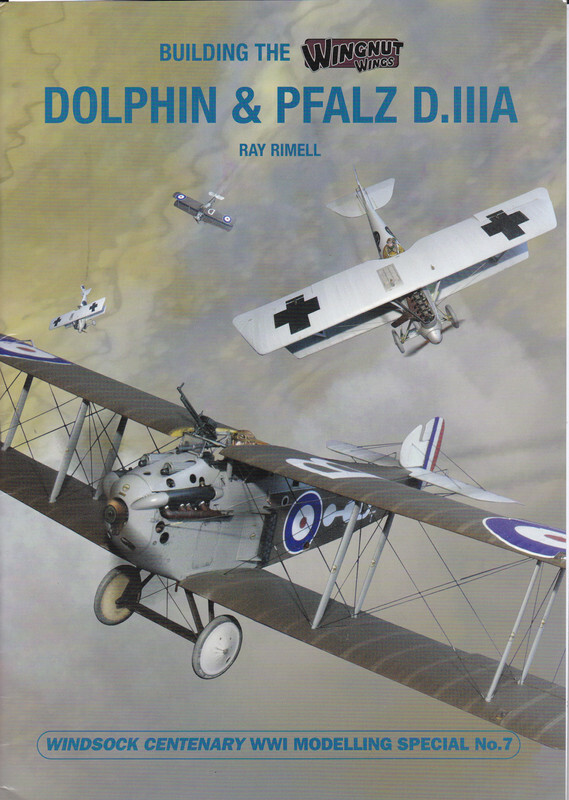 It’s fair to say that with this beautifully presented publication coupled with Wingnut’s acclaimed instruction booklets and of course the applicable Windsock Datafiles, you have everything needed to produce a showstopping model of the Dolphin and Pfalz. Special mention should be made of the illustrations including a beautiful walkaround of the RAF Museum’s Dolphin and original wartime Dolphin photos and rigging notes. There’s so much here to help modellers. Although the publication features both the Dolphin and the Pfalz, the Dolphin dominates the content. 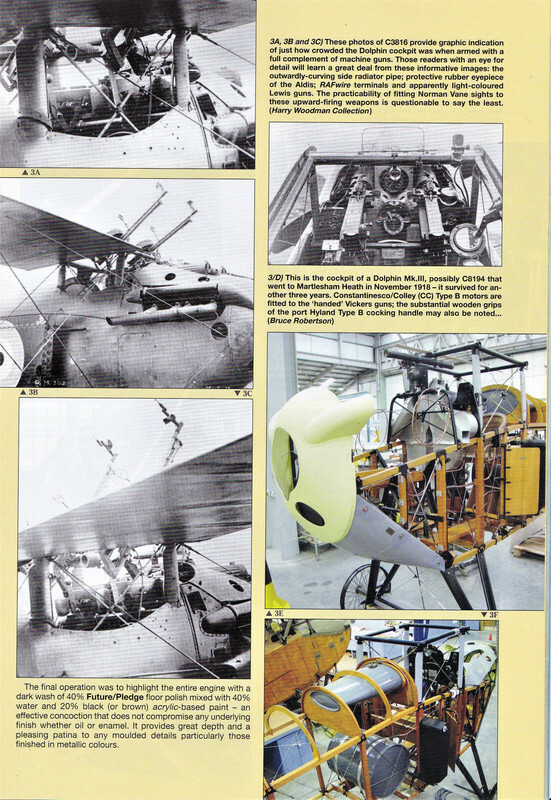 The Pfalz D.IIIa gets 14 pages of coverage. It is all complemented with a useful list of available aftermarket accessories for the kits and web links to the manufacturers as well as a detailed appendices for further reading. As with the earlier Wingnut specials the information here would also benefit modellers working in other scales. 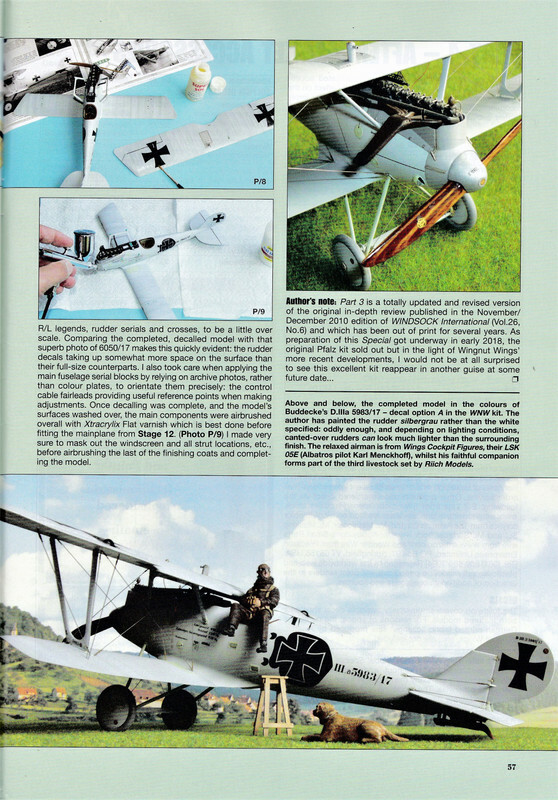 Paired with Wingnuts’ own excellent instruction booklets, (an invaluable reference work in their own right and available for free download from the Wingnuts site), this latest Albatros Productions’ modelling special is an essential “must have” for anyone making the Wingnuts Sopwith Dolphin or Pfalz D.IIIa.